Greeley pergolas are a great backyard addition to your home in the Greeley area. These structures not only keep out sun and harsh weather, they also enhance the look of your outdoor living space. When choosing a pergola, there are several ways to customize them to meet your needs and personal style. A home in one neighborhood of Greeley may have a completely different pergola than a home in another neighborhood based on how much time the owners spend outside, their personal style, the landscaping, and much more. 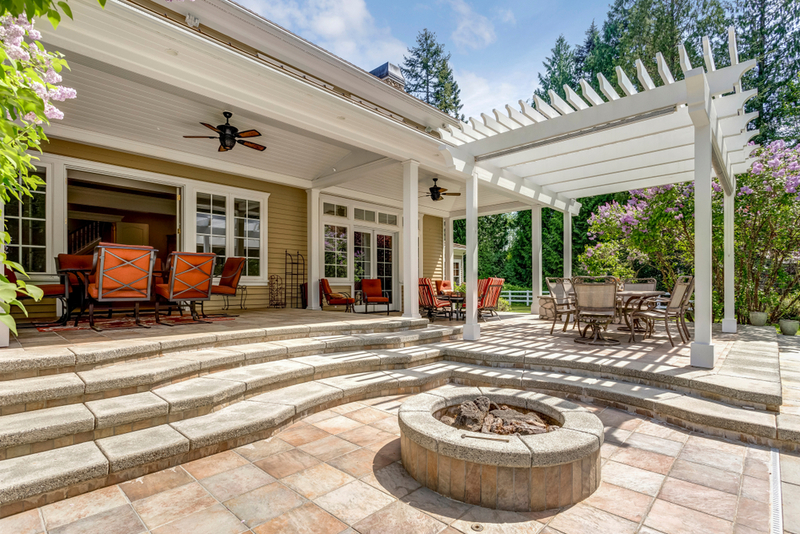 With so many options, it is important to start with a trusted contractor who can provide recommendations about the best pergola design and materials for your space. Before you meet with a contractor, be prepared with an idea of the style and size you want. One of the biggest decisions when choosing a pergola is the material type, which will help determine the style and price of your project. The biggest draw for vinyl pergolas is that they don’t require maintenance, which can be incredibly beneficial in Greeley where sun and snow can damage wood over time. To keep a vinyl pergola looking clean and fresh, it only needs a power wash every one to two years. One of the drawbacks of vinyl pergolas is that they are only available in limited colors based on the vinyl materials that the contractor has in stock, which is usually white, brown, or red. If you choose a vinyl pergola, be sure to find a contractor who reinforces the vinyl with wood to make it structurally sound. This is especially important in Greeley where we can get heavy loads of snow. Vinyl tends to be less expensive and quicker to install than wood. A wood pergola is the more classic option and offers several more color and design choices, but the upkeep can be a turn-off for some people. The most popular wood option is cedar, but Douglas fir or pine can also create a pergola with a more rustic style. All wood pergolas must be stained after they are finished to protect the wood from the elements. For best results, a wood pergola should be re-stained every five to seven years, which is an added expense. Wood pergolas are more expensive and take longer to install, but they are the strongest option. Whether you choose a vinyl or wood pergola, it will be a great addition to your backyard and create a more livable outdoor space for relaxing and entertaining. If they are well-taken care off, vinyl and wood pergolas have the same expected lifetime. Like all home construction projects, finding the right team of contractors is key to creating a high-quality product that will outlast your home. When you’re looking for the perfect Greeley pergolas, be sure to do your research and find the team and product that is right for you. Soon you can have the outdoor space of your dreams! 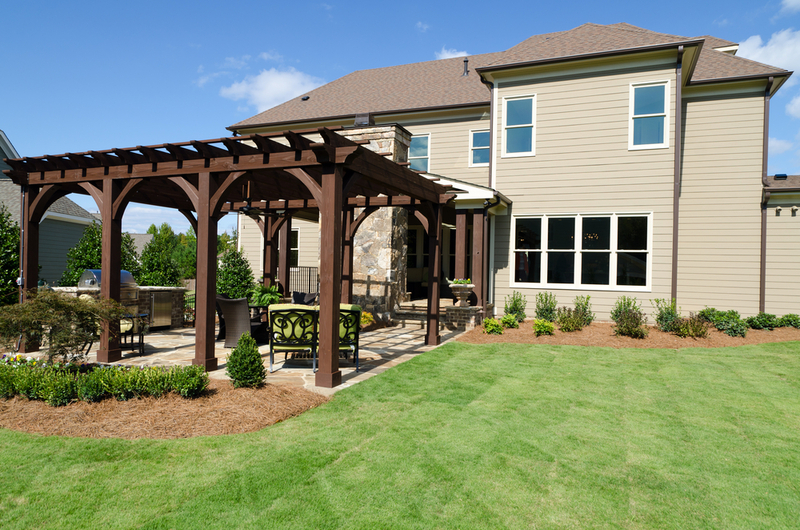 Want to get started on finding the perfect pergola design for your outdoor spaces? We’d love to hear from you! You can reach us at 970-405-8126.